To stay competitive in your industry, it’s essential to constantly analyze & improve your business processes. This allows your business to operate as efficiently as possible, minimizing your expenses and maximizing profits. To make sure your initiative isn’t just another number in that statistic, you can use some of the tried-and-tested process improvement methodologies. There are a lot of different ways to approach process improvement. In this guide, we’re going to explain 3 of the most well-known process improvement methodologies – Six Sigma, Lean Manufacturing, and Business Process Management – and arm you with the right tools to get started with each approach. Six Sigma is one of the most popular process improvement methodologies out there. It is, essentially, a set of tools and techniques that help your organization with process improvement. The main goal of this methodology is minimizing defect rates and variability in business processes. For a process to be “Six Sigma,” it has to have almost non-existent defects (3.4 defects out of 1 million opportunities). We’re only covering a handful of tools in this guide. To get the complete list, check out our guide to Six Sigma tools. DMAIC (Define, Measure, Analysis, Improvement, and Control) is a tool that helps with process improvement. Whenever you’re working on any given process, you can use it as a framework. Define – Define what, exactly, is the problem and how is it affecting the company. Then, use the aforementioned information to define the goal of the process improvement initiative. Measure – This is the stage where you collect all the relevant data. You need to find empirical proof that the existing process isn’t working, which you’ll later use as a benchmark for any improvements. Analysis – Find the possible causes for the inefficiency of the process. You can use several other Six Sigma tools to help you with this, such as the Fishbone Diagram. Improve – Now that you know what the problem with your process is, you can start coming up with solutions. Brainstorm with your team and determine which ones might work. Once you have a couple of ideas, you can move on to the last step. Control – Before implementing the process improvement company-wide, you need to make sure that it works as intended. Give it a couple of trial-runs and benchmark the new data to the old collected in the “measure” stage. Want to learn more? Check out our primer to DMAIC! Before you can make improve any given process, you need to figure out what’s wrong with it. What’s the root cause of the inefficiency, and how can you fix it? The 5 Whys is a very straightforward (but useful) methodology for determining the root cause behind any issue. All you have to do is keep asking “why” until you’ve found what the issue is. To conduct the analysis, first, you need to figure out what’s the issue you’re trying to solve. Let’s say, for example, you’re head of sales at a SaaS company & your team isn’t hitting the KPIs. And done! You have your solution to the problem. You can use the 5 Whys analysis for all sorts of problem-solving – it can even come in hand in your personal life. Check out our article to learn more about the tool! Lean Manufacturing is a process improvement methodology that aims to maximize company output by eliminating bottlenecks and improving product quality. Overproduction – Creating too much product when there’s no real demand for it. Waiting – When there’s too much time between steps in production. If your employees end up sitting around because they don’t have anything to do, you end up wasting a lot of value. Transport – When materials or products are moved inefficiently. Motion – Lack of employee productivity. When there’s too much time wasted between an employee finishes and starts a new task. Over-processing – Wasting too much time or resources on producing a product. Inventory – Having your existing inventory much higher than needed. Defects – The amount of time your employees spend fixing production mistakes. PDCA (also known as the Deming Cycle) is a framework for improving any given process. In the context of Lean Manufacturing, you use it to identify any of the 7 Deadly Wastes in a process and use PDCA to figure out how to solve it. Plan – Find what the issue with the process is. Analyse it and start coming up with potential solutions. Do – Implement the solution for a single process. It’s always a good idea to start doing this on a small scale to minimize risk. 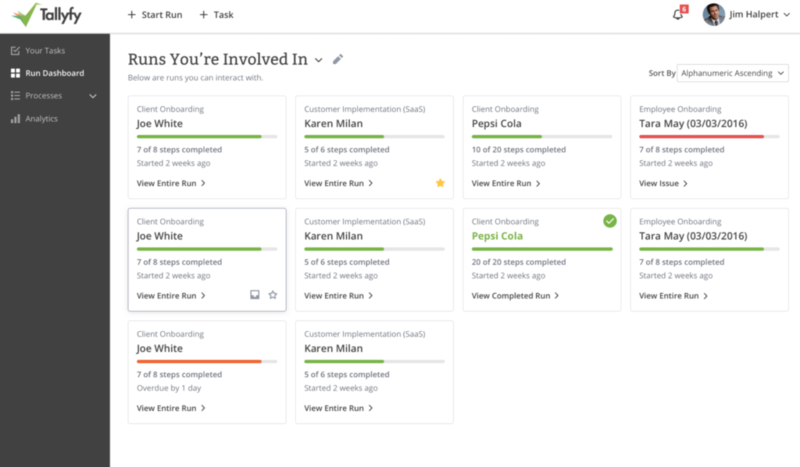 Check – Compare the new process to the old. Is it performing better? Did you improve output? Lower input? Decrease production time? If the solution is effective, you move on to the next step. If not, you start the PDCA cycle all over again. Act – Once you’re sure that the process improvement will be beneficial long-term, you can implement it company-wide. Want more in-depth information on the Deming Cycle and how you can use it to improve processes? Check out our guide to PDCA. Kaizen is a Japanese word and means change (kai) for the better (zen). The goal of this methodology is to eliminate waste and achieve continuous improvement in your business by involving all of your employees – all the way from C-suite to assembly-line workers. Unlike PDCA, Kaizen is a bit less practical. It focuses more on instilling a culture of improvement in your organization rather than telling you the exact steps you’d need to take to improve a process. To adopt Kaizen in your organization, you need to enable all of your employees to participate in process improvement. Their contribution and ideas should be both encouraged and rewarded. There are a lot of practical ways to do this, but one of the most straightforward ones is the adoption of “Kaizen Corners.” The idea here is to create a space where all of your employees can go and leave their ideas for improvements. Then, you should analyze each suggestion and potentially implement it. If you make it clear that improvement and innovation are rewarded in your organization, you’ll see a lot of initiative from your employees. The Kaizen Corner is only one means of achieving Kaizen at your workplace. To get more in-depth information about the topic, check out our complete guide! Business Process management is a methodology for continuous improvement. The main idea behind it is that you should be constantly analyzing and optimizing business processes. Unlike the other process improvement methodologies we’ve mentioned so far, this one’s a bit more hands-on. It involves repeating the following cycle (called the BPM Lifecycle) as many times as needed on any given process. Analyze – Find potential improvements in the process. Is it as cheap as it can be? As fast as possible? Can it be, partially or fully, automated? (Re)Design – Once you’ve found the improvements in step #1, you can now redesign the process completely, or just make a change or two to the existing process. Execute – Start using the new process at a small scale. This is more of a testing stage – you don’t want to make company-wide changes until you know they’re really beneficial. Monitor – Keep track of the KPIs of the new process and benchmark them to the old. Keep in mind, though, that it’s a good idea to have the test running for a long time. You want to make sure the improvements are long-term. You might, for example, end up improving process output, but at the time, increasing defect rate. Optimize – Now that you have the data, you can make further improvements to the process until it’s performing to your expectations. This is, as a given, not something you do just once or twice. You do it continuously throughout the years. This ensures that your processes are as efficient as possible. Business Process Management isn’t the easiest of methodologies to master. Want to learn how to use BPM effectively? We have a guide for that! To get the analysis phase right, you need to have a very good understanding of the process. Unless you’re the one in charge of carrying it out, though, you probably don’t know everything that it consists of. The best way to get the right know-how is to create a process map. In most cases, this is done in the form a process flowchart. Meaning, you create a flowchart of the exact tasks that need to be completed for the process to be finished. Before you can start with this, though, you should pick the right tool. You could simply use pen & paper, but that’s not all that useful. You want the process graph to be digital so that you can share it with other employees, save it, use it as an SOP, etc. So, you’re better off using an online process mapping tool such as LucidChart or Draw.io. Identify the process to be mapped. In this case, it should be whichever process you’re improving using BPM. Bring together a project team. This should consist of employees related to the process, someone from senior management, and a process improvement expert. Gather the information about the process from the employees that are familiar with it. Create the baseline process map using your favorite tool. Want to master business process mapping? There’s a lot more to learn! 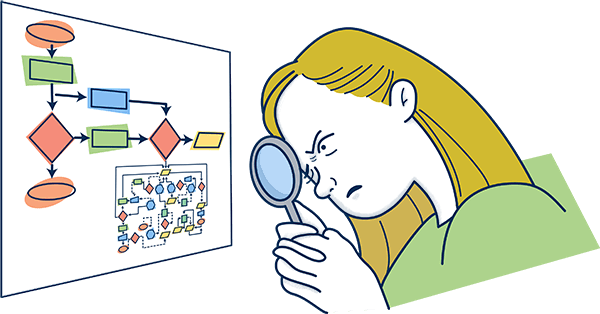 You can, though, learn everything you’ll need to get started with our step-by-step guide to process mapping. One of the biggest issues with process improvement is making your changes stick. Sure, you spend a lot of time and resources in order to make the process better. All your efforts, however, will be in vain unless everyone uses the new process on a regular basis. While your employees are all in favor of improvement, they’re not big fans of change as a whole. As is the issue with most company change initiatives, you need to ensure that the employees are on-board. The easiest way to get them used to new processes is by using Business Process Management Software (BPMS). Instead of having to go around telling your employees about the new changes and how they’re supposed to do things differently now, all you have to do is make the edits online. The software notifies the relevant employees about the changes and starts enforcing the new process rather than the old. BPM software has a lot of other capabilities in addition to what we’ve mentioned so far. Want to learn more? Check out our guide to BPMS! Now that you know about the most important process improvement methodologies, it’s time to put them into practice. Start experimenting with your business processes & you’ll start seeing improvements in no time! If you want to learn more before getting started though, you might want to head over to our complete guide to process improvement tools.